On Saturday, March 31, 2018, we zipped across Pierce County on Washington State Route 512, the southernmost segment of the freeway bypass of I-5 around Seattle and Tacoma. SR 512 begins in Lakewood at an interchange with I-5. Lots of people around here. 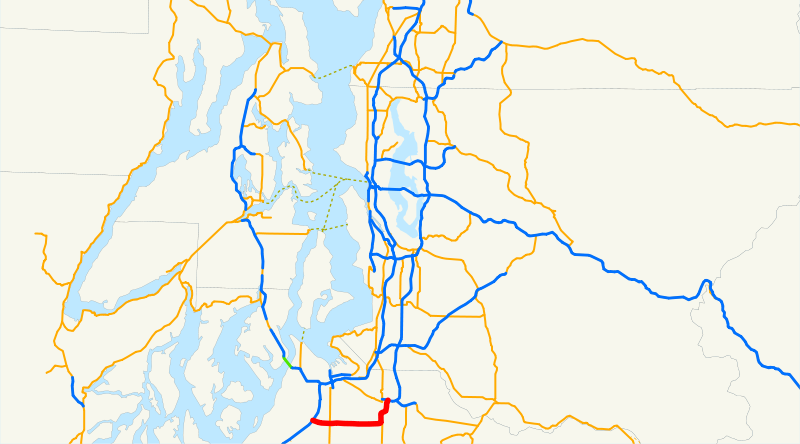 Let's make it a freeway. After a slow start, we zoom eastward. 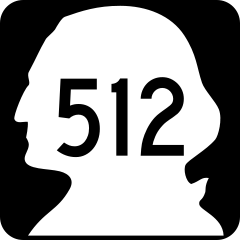 Even though we're surrounded by city, it feels like a forest since Highway 512 was built in a trench. Two miles from I-5, we reach SR 7. Flying down the trench, we only catch glimpses of suburban homes and occasional farms. When we get to South Hill, the highway curves northward and we have a junction with SR 161. 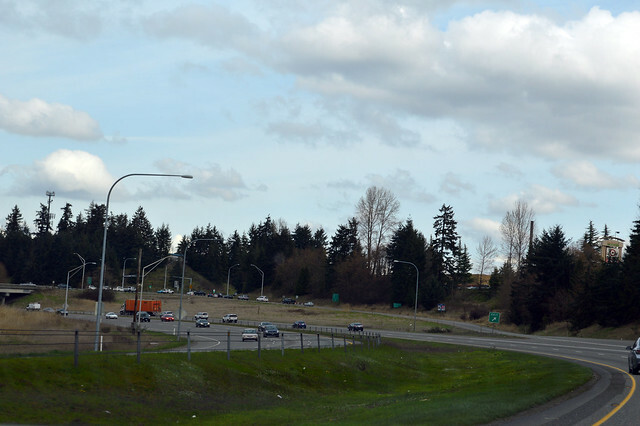 Originally, before the freeway was built, SR 512 ended here. SR 161 joins us as we speed down the hill to Puyallup. 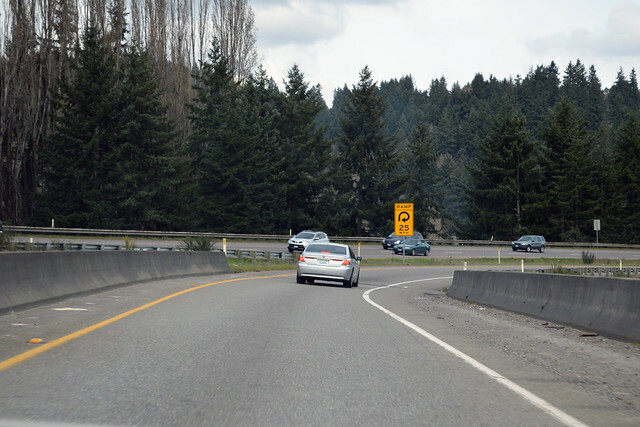 At the bottom of the hill, some tight curves in narrow lanes provide a slowdown of traffic. As we cross the Puyallup River, we are so lucky as to witness some epic road rage. The car ahead of us, "Car B", passes the next car, "Car S", on the right. Car B abruptly cuts back to the left lane a few feet ahead of Car S, then brakes. Car S brakes and swerves to the right lane, but Car B jerks right to stay in front of Car S. Car S goes left, Car B goes left. Car S goes right, Car B goes right. Soon Car S is driving on the right shoulder to avoid Car B. Car B finally has had enough murderous fun and goes to the left lane and speeds away. Car S stays right, hoping to never see Car B again. And then we get to the interchange with SR 167. 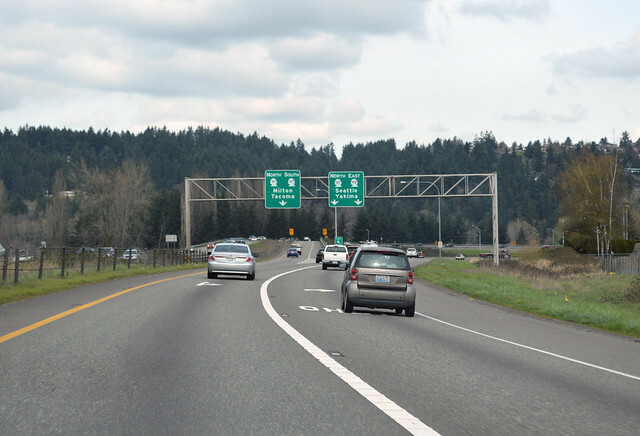 A half mile later, as we cross over SR 167, Highway 512 comes to an end. 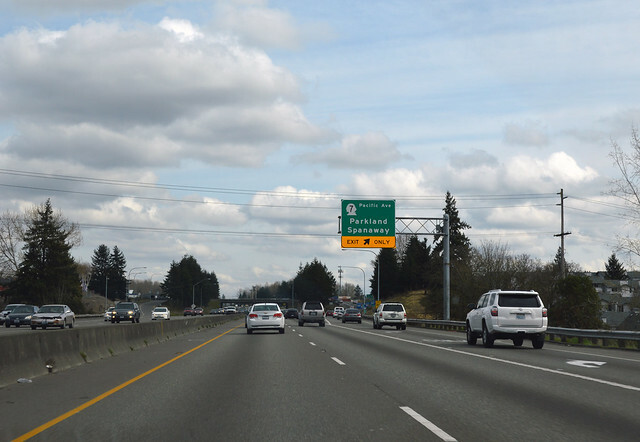 Our brief companion SR 161 continues around the loop to head northward on southbound 167. 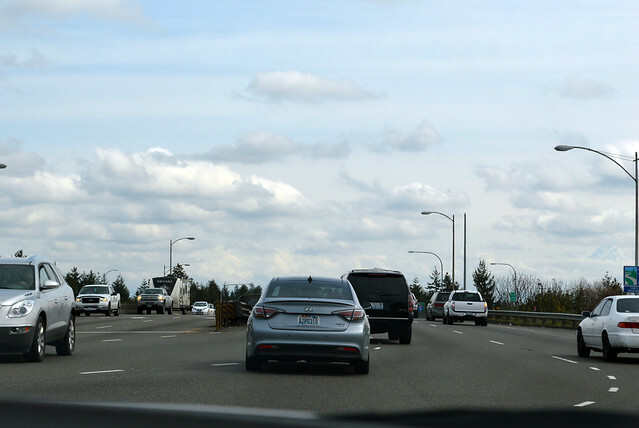 Except for the dangerous driver of Car B, who should have his license revoked, our drive on SR 512 was quick and quiet.